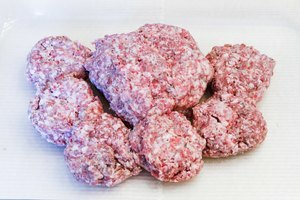 A well-made sausage is a thing of beauty, and they’re some of the tastiest treats to keep in your fridge for quick meals or late-night attacks of the munchies. Like anything else, they will spoil over time, though, so it’s always a good idea to check whether they’re still safe to eat. Sometimes you can tell it at a glance, but sometimes you can’t. Most of the time, your eyes, nose and fingers tell you what you need to know. If your sausage turned gray in the fridge, that’s a bad sign. If a fully cooked sausage is slimy, or if it has a weird, sweet-sour funky smell – you know the one – it’s done, and you should just throw it away. Those sights and smells tell you that there’s been some spoilage in your sausage. The problem is that spoilage isn’t your big worry when it comes to food safety. The really dangerous bacteria operate in stealth mode, and you won’t even know they’re there. The bacteria that make your week-old hot dogs slimy are unpleasant, but they’re not especially dangerous. The ones that can make you really sick – E. coli, salmonella, listeria, yersinia – are a whole different story. They’ll usually give you a few thoroughly unpleasant days if you’re young and healthy, but they can be life-threatening if you’re very young, old or already ill. The problem is that these genuinely dangerous microorganisms, or “pathogens,” as they’re called, don’t hang out a sign to let you know they’re in town. You can’t see, smell or taste them or feel them with your fingers. The only way to protect against them is to buy your sausages from reputable suppliers, cook them properly, and pay really close attention to their “best by” dates and recommended refrigerator storage times. Sausage fridge life depends on the kind of sausage you’re buying. Fresh uncooked sausage, like breakfast links or fresh Italian sausages, are the most perishable. Those are only good for a day or two in your fridge once you get them home, so pay close attention to the “sell by” or “best by” date on the package. Once cooked, they’re good for three or four days in the fridge. If you don’t plan to use them by that date, bag them up and pop them into the freezer. 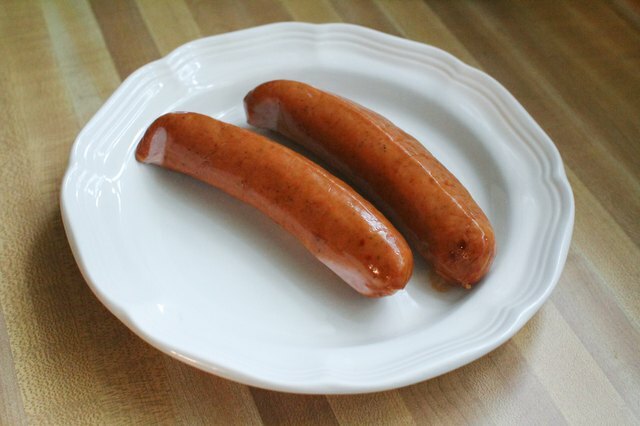 Fully cooked sausages include many other popular options, from hot dogs and pre-cooked breakfast patties, to pretty much anything you’ll throw on a grill over the summer. 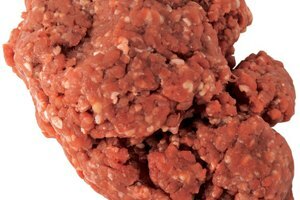 They’re not made of raw ground meat, so they’re less perishable than uncooked sausages. Generally speaking, unless the package tells you differently, they should be good for up to a week or so in the fridge. 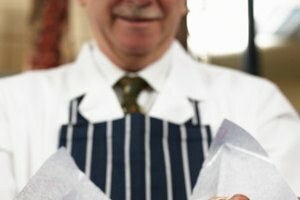 Depending on how the sausages are made, their shelf life varies, and dry-cured sausages are the extreme example. These are fermented and dried to make them really inhospitable places for nasty bugs to try to make a living. Some kinds are actually shelf-stable at room temperature, so you don’t need to refrigerate them at all. The type that calls for refrigeration will last almost indefinitely until they’re opened. Once you cut into them, they’re susceptible to microorganisms, so you should use them within two to three weeks, or slice and package them for the freezer. The other thing to remember is that the guidelines on sausage shelf life assume that they’ve been handled properly from start to finish. The big grocery stores have strict procedures for cold-chain management, and you can do your part by taking along a picnic cooler or insulated bag when you shop to keep your sausage cold until you get them home to the fridge. If you’re working with fresh sausages, make sure they’re cooked all the way to a food-safe temperature of 160 degrees Fahrenheit – or 165F if they contain turkey or chicken – when tested with a thermometer. You also should keep them away from other raw meats in your refrigerator and on the counter. It’s easy to forget when a sausage went into your fridge, so marking a date on the package is a really good idea. Go through your fridge once a week or so, and discard anything that’s past its prime. If you like to have a few drinks on the weekend, Thursday night or Friday morning is the strategic time to make your inspection. 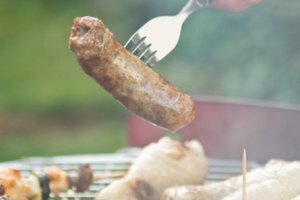 After a few brews, you’re a lot more likely to take a risk on a sausage that may or may not still be safe!